The National Registry of Exonerations is a new joint project of the University of the Michigan Law School and the Center on Wrongful Convictions at Northwestern University School of Law. It maintains an up to date list of all known exonerations in the United States since 1989, including Louisiana, of course. 1 exoneration in Washington Parish. The State of Louisiana has executed 15 of 28 individuals sentenced to death under Governor Edwin W. Edwards since 1976 — 13 by electrocution and 2 by lethal injection. 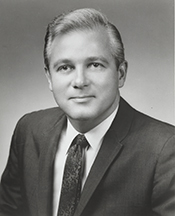 Edwin Edwards himself has recently finished an 8+ year term in federal prison for a corruption conviction and still claims that he was merely guilty of arrogance. 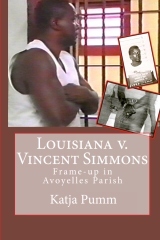 If Edwards actually does know the pain, damage, and what it means to be imprisoned for a crime one did not commit, would it not be a good thing for him to use his popularity and powerful connections to help free those in Louisiana’s penal system who can prove their innocence, but are repeatedly denied their constitutional rights in court? Vincent Simmons is a native from Edwards’ home parish and one of those who are not just serving a few years, but decades, life without the benefit of parole, pardon or suspension of sentence, or even a death sentence in prison — wrongfully convicted. Edwards and his third wife may be the stars of a new TV show soon. Nothing specific is known. However, a reality television show about the struggle of innocent prisoners would not only be entertaining, interesting and educational, it might be constructive and improve the injustice system. What you say, Mr. Edwards? Are you ready to step on your political friends’ toes? WASHINGTON – The Department of Justice announced today that it has filed a lawsuit against the state of Louisiana and a number of Louisiana state agencies and officials alleging that the state has violated its obligations under the National Voter Registration Act (NVRA). The complaint, filed today in the U.S. District Court for the Middle District of Louisiana, alleges that Louisiana has violated the NVRA by failing to provide voter registration services at offices providing public assistance and serving persons with disabilities in Louisiana. Specifically, the complaint alleges that Louisiana officials have not routinely offered voter registration forms, assistance and services to the state’s eligible citizens who apply, recertify or provide a change address for public assistance or disability services, or benefits. The lawsuit seeks a court order declaring that the defendants have failed comply with the requirements of Section 7 of the NVRA, and requiring Louisiana to take all necessary steps to come into compliance with federal law. The suit seeks to require Louisiana to effectively publicize the required voter registration opportunities and provide the court with a remedial plan that will ensure future compliance. Congress enacted the NVRA in 1993 in part to enhance citizen participation in elections by making voter registration opportunities readily available and accessible to the largest possible segment of the American public. In addition to requiring that voter registration be offered at motor vehicle offices and by mail, the NVRA also mandates that states offer voter registration through agencies that provide essential services to citizens with disabilities and low income citizens. Congress found that if it did not require states to offer voter registration at public assistance and disability services agencies, it would exclude a large segment of American citizens from having convenient opportunities to participate in our democracy. More information about the NVRA and other federal voting laws is available on the Department of Justice website at www.justice.gov/crt/about/vot/ . Complaints about discriminatory voting practices may be reported to the Voting Section of the Justice Department’s Civil Rights Division at 1-800-253-3931. On recommendation of the Judiciary Commission of Louisiana, the Louisiana Supreme Court ordered on May 10, 2011, that Justice of the Peace Roger Adams, Sr., of Ward 7/ Simmesport, 12th District, Parish of Avoyelles, State of Louisiana, be suspended without pay for one year, followed by a two-year period of probation, attend the Attorney General’s justice of the peace training every year until his term of probation is completed, reimburse and pay to the Judiciary Commission of Louisiana the sum of US$532.58. The court opines that Adams violated Canons 1, 2 (A), and 3 (A) (1) of the Code of Judicial Conduct, and Article V, Section 25 (C) of the Louisiana Constitution. Adams, an African-American non-lawyer and Democrat has been in office for eight years. The first time the Louisiana Supreme Court suspended him was in June of 2007 (In re: Adams, 07-0426 (La. 6/29/07), 959 So.2d 474). The justice of the peace admitted he had issued arrest warrants for two persons for a parade permit violation and having set excessively high bonds in retaliation for their political opposition to the mayor of the Town of Simmesport, James T. “Boo” Fontenot (July 7, 1951 – August 4, 2008). Adams did not assign a case number for his judgment (La. Code Civ. Proc. art. 4918). Adams did not inquire, verify, or determine whether the lady of St. Tammany Parish was legally entitled to a divorce under Louisiana Civil Code article 103. Adams did not verify service of a default judgment (La. Code Civ. Proc. art. 4921) or otherwise inquire or properly determine that the jail inmate’s husband was actually in default. Adams did not hold any hearing.